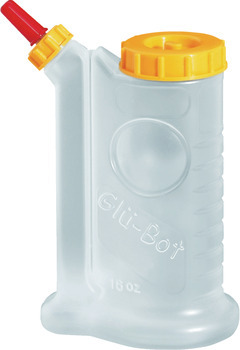 Glue Bottle, Glü-Bot, 16 oz. Item No. 003.49.802 GLUE BOTTLE DRIPLESS 16OZ. 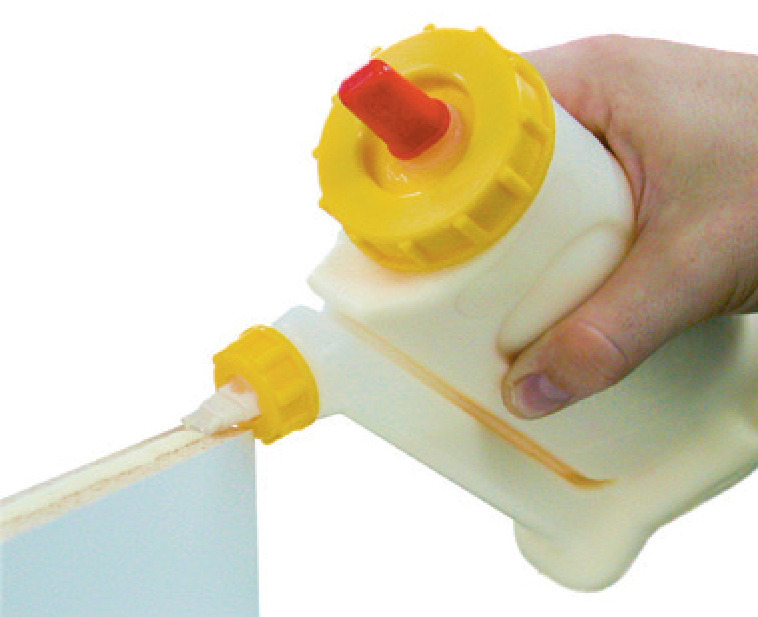 While using the Glü-Bot, store the spout cap on the large screw cap. Empty Glue Bottle, 16 oz.